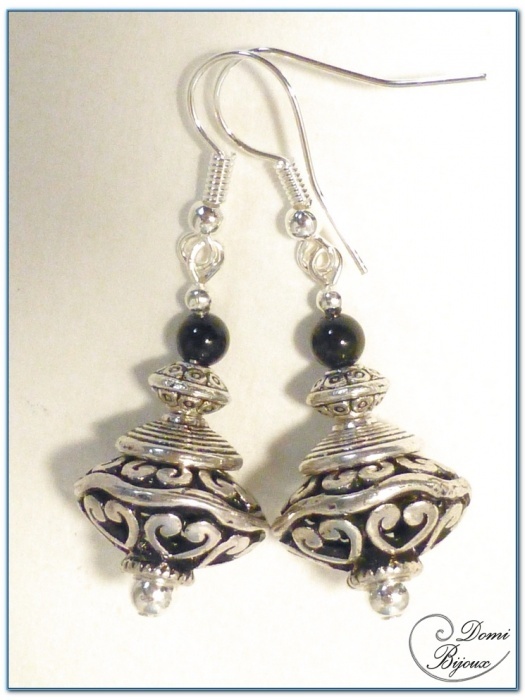 Fashion earrings silver finish with filigree oval metal pearls and onyx pearls. 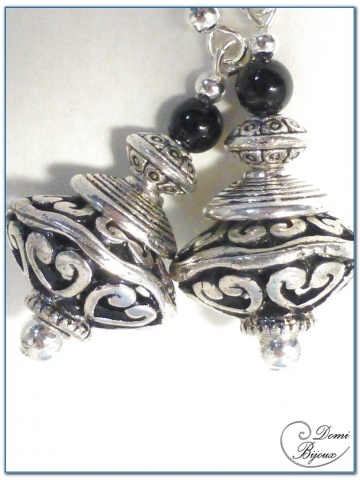 This fashion earrings silver finition are made around two fligree oval metal pearls of 16 mm diameter, metal caps and pearls, and small onyx pearls. Two hooks silver finish complete the mounting. This ethnic earrings will agree with a filigree metal pearl necklace. 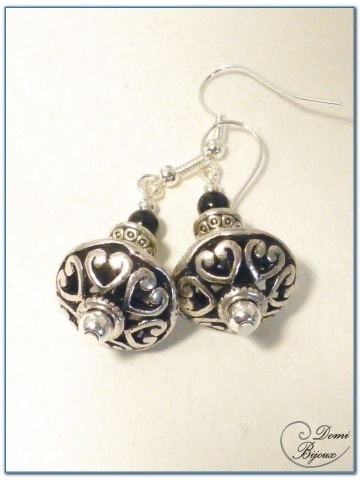 You will receive this earrings in a nice cloth pouch closed by a link to store them when you don't wear.